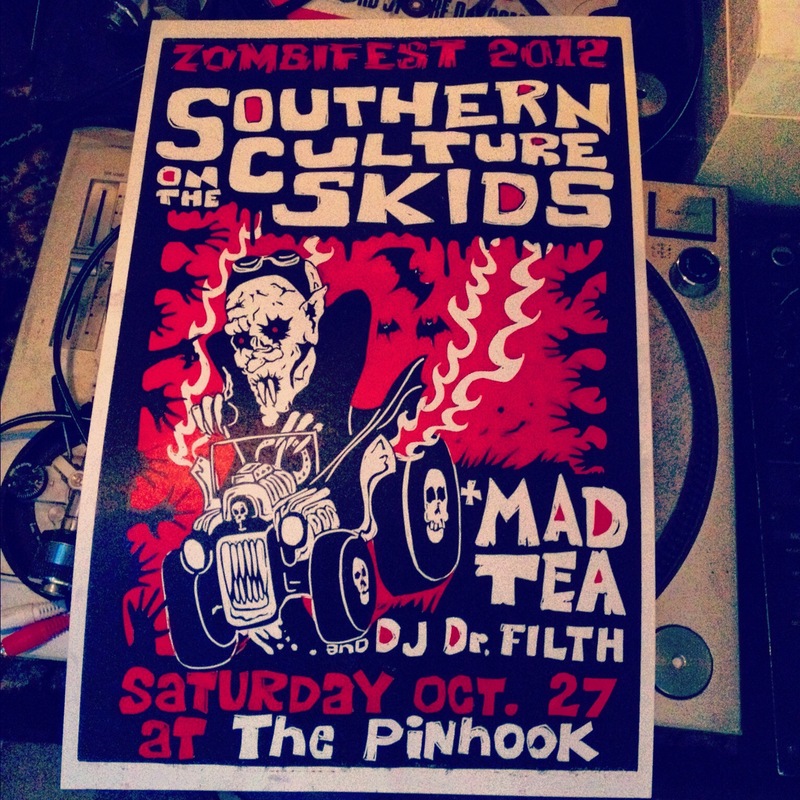 Here is a new print hot off the press celebrating the Southern Culture on the Skids Zombifest 2012 with my band Mad Tea… limited quantities available here! This entry was posted in Linocut Prints and tagged art, Asheville, B- mOvies, creature, folk art, genre films, Halloween, hand prints, horror movie, hot rod, linocuts, monster, monster art by Jason Krekel. Bookmark the permalink.